New technologies have drastically changed our lives. People are now spending more time in our daily lives on mobile devices, such as sending messages to our friends, to shop online, to watch a movie, etc. If you are interested in learning Chinese. You should have a look at the apps below. The games are so much fun and the Chinese characters are much easier to learn! The native English speakers without any knowledge of Chinese are able to use the software. 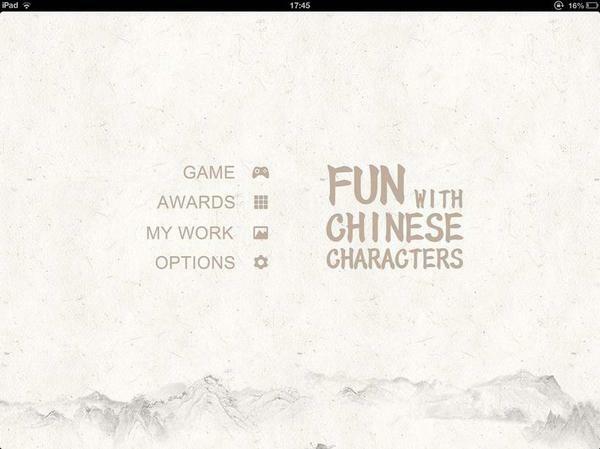 The application best selects 50 Chinese characters and has games to display the evolution of the 50 characters, respectively. Once the users passes a level, a character will be unlocked. You can check its meaning in English and what it looks like in classic version. If you like Chinese writing, then Chinagram may be the app for you. 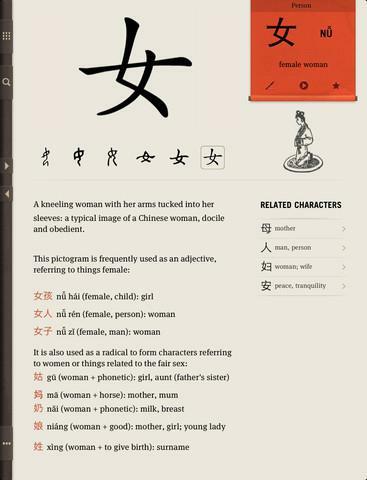 Chinagram is an iPad and iPhone app that tells the story behind Chinese symbols, explaining its logic and displaying its beauty, with a user-friendly interface and pretty UI. It has stored over 300 most-used Chinese characters along with correct pronunciation and examples of the use of each word in idiom and everyday conversation, for learners to read, recognize and remember. If you are looking for an interesting way to learn Chinese, try learning through art. Art of Chinese Characters is currently available on the iOS operating system. This app garners 15 paintings and encourages you to find out the relationship between the painting and the Chinese character. Once you are familiar with the character, you can check the meaning, pronunciation, phrases, stroke order and origin. To strengthen the memorization, the app has a practice mode for you to quickly review the character and then match the right character to its English meaning. Hello daily Chinese is a daily Chinese course designed for thr beginning Chinese learner. There are 15 primary-level lessons in total and every lesson contains five sections, including new words, language points, texts, videos and exercises. The app is specifically designed for use on your mobile phone which enables users to learn Chinese on the go anytime. 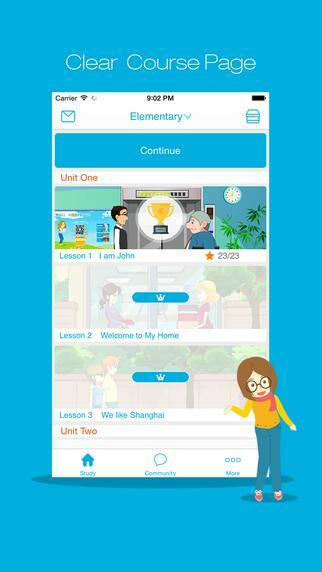 You will be pleasantly surprised by the enjoyable and fun experience of using the application to learn Chinese. Teaching China.net offers an exclusive selection of excellent direct employers across China. We have an easy to complete, safe and secure application page and simple quick apply buttons to distribute your resume to all your favorite employers directly. Sign up today, It’s completely free!